Tourism and Entrepreneurship: International Perspectives provides an innovative, interdisciplinary approach. This book takes, as its central theme, the role of entrepreneurship in the context of regional, local and national tourism development. By engaging with top academics in both tourism and entrepreneurship, this book delivers a cohesive, interdisciplinary examination of the most recent developments in both tourism and entrepreneurship. sectoral strategies and policy issues of tourism entrepreneurship. 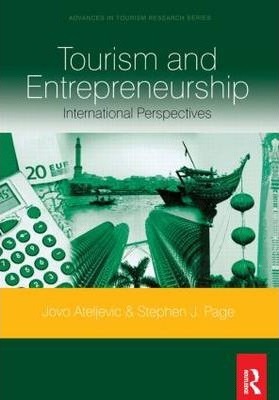 This book is a unique combination of theory, case studies and discussion highlighting the importance of entrepreneurial tourism activity for economic success. It is essential reading for students and researchers in both tourism and entrepreneurship.